Pre-scheduled weekend course with a 3 student limit. Must be reserved 30 days minimum prior to start date. Learn to sail with your partner! Jason is a great guy and was very patient with us. He made it a great time and the material easy to understand. I hope to go back and take some more advanced classes with him. My Dad and I took a 3 Day course to qualify for ASA 101. Jason was an excellent instructor and guide. 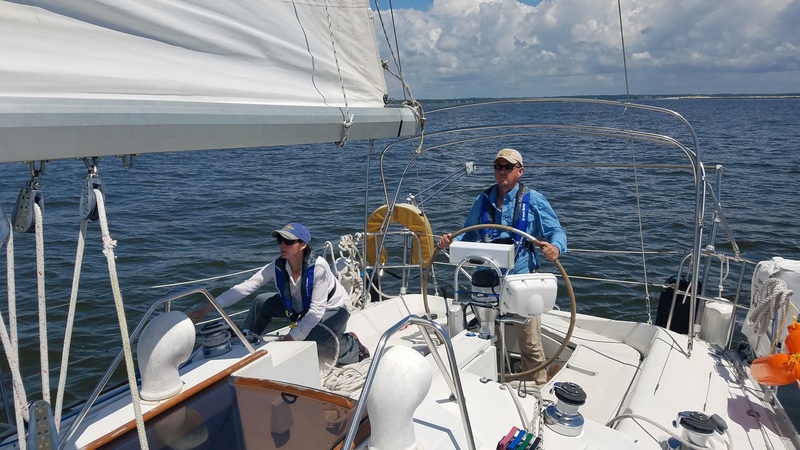 Thorough, entertaining, and personable, he showed us a great time out on the ocean while making sure we focused on all the material to easily pass our exam. I will definitely choose Jason for future sailing adventures and ASA courses. 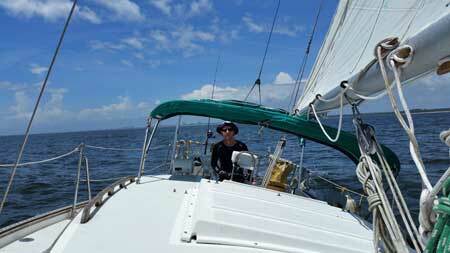 John and I took our ASA 103 sailing class this weekend – and passed !!! 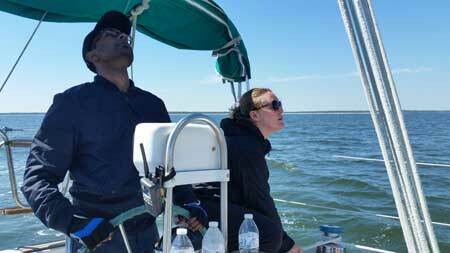 We can’t say enough about our amazing instructor – his knowledge and love for sailing is contagious. 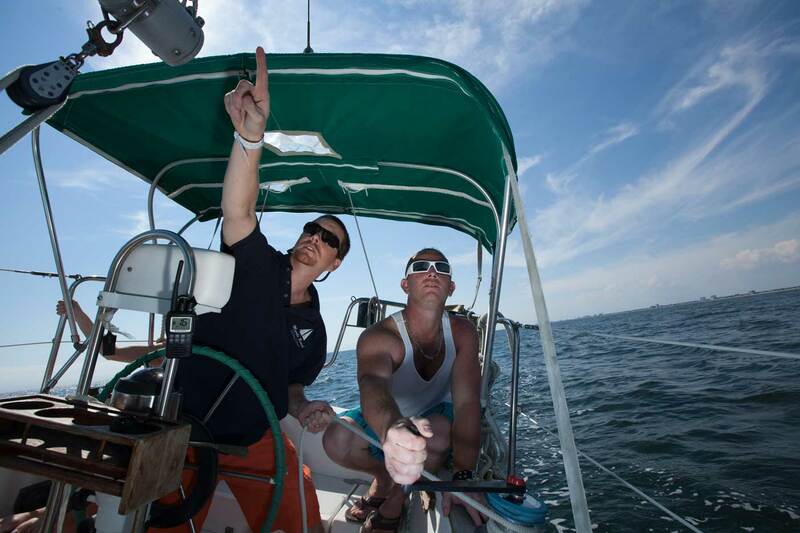 Anyone that wants to or has ever thought about sailing should contact Jason Cox and his Myrtle Beach Sailing School. Ask him about the hammock and Sebastian !! 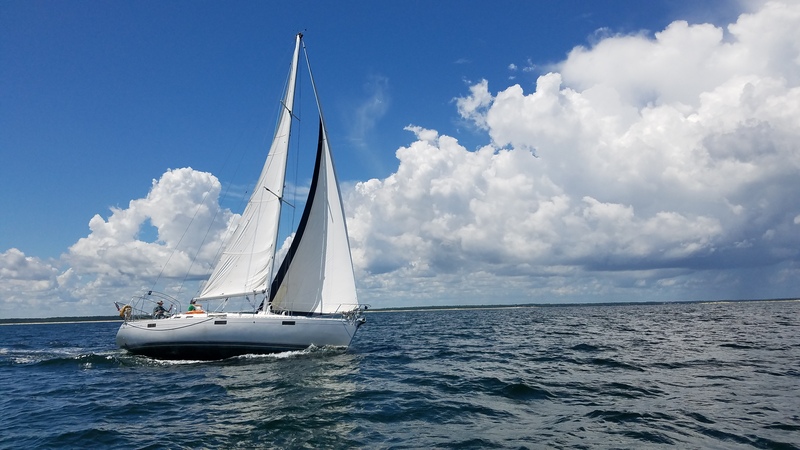 MB Sailing School and Jason were a wonderful experience, the boat was a very nice 30 something footer and the Skipper is extremely knowledgeable and quite a teacher. Was my first experience on a sailing vessel but thanks to Jason it won’t be my last!! Great experience and highly recommend. I had a great time at Myrtle Beach Sailing School. Jason is a great teacher and he really makes an effort to provide as much instruction as possible during his courses. “Captain Jason is a Great Instructor” My wife and I took ASA 101 and 103 from Jason. We found Jason to be an excellent instructor. 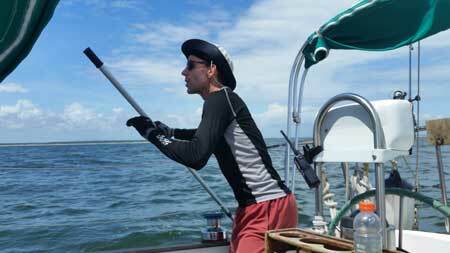 We flew from Montana to Myrtle Beach to take sailing instruction from him. 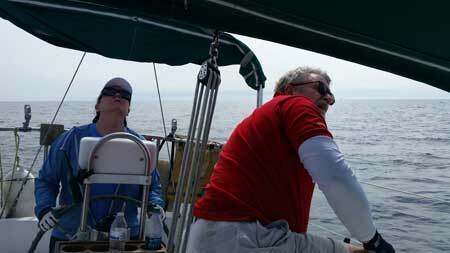 We could not have asked for a more patient or knowledgeable instructor than Jason. I highly recommend him to any person interested in learning how to sail. We anchored out one night and the sunset was spectacular. My wife and I have always had the passion to learn to sail, so we made the decision to move forward! We combined ASA courses 101-103 to complete in a weeks time. Not fully knowing what to expect, we were really impressed with our instructor Capt Jason. Capt Jason is very knowledgeable & made our lesson plan enjoyable while detailing the importance of the knowledge base we were absorbing. We spent the whole week on the water, understanding the safety and joys of life on the water. We are looking forward to our next 104 course! I highly recommend Capt Jason for your instruction or charter! Thanks again Jason! We look forward to the spring! Jason, you rock! Thanks, I had a blast! Never imagined that getting certified comes with so much great sailing and so much fun! 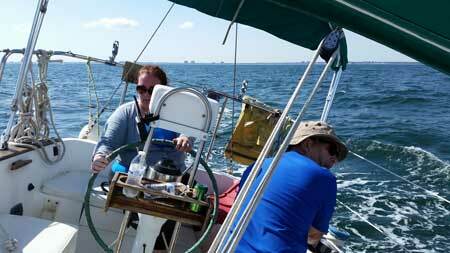 My son Ben Lovell and I took the American Sailing Association 101 course with Jason in early November and had a blast! As an instructor, Jason made sure we understand the content and felt comfortable with the skills we had to demonstrate. He was always patient when we didn’t grasp something and was willing to model and repeat as many times as necessary. 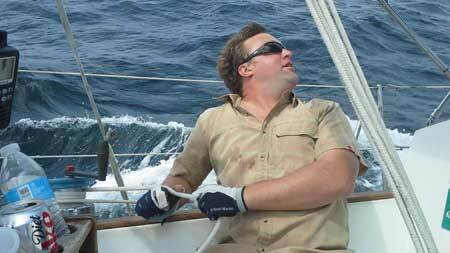 As a Captain, Jason was extremely knowledgeable of the area and very skilled as a sailor. From our initial meeting, we realized we were in competent hands. Maybe even more important than learning skills, Ben and I developed an itch – perhaps even a passion – to learn more about the exciting world of sailing. 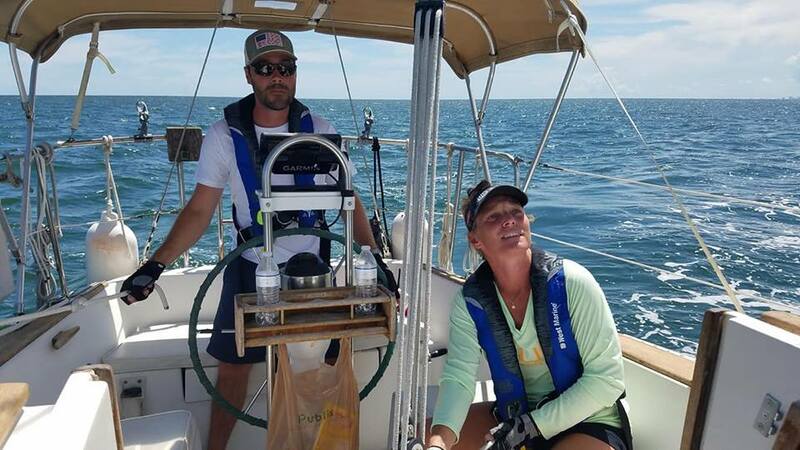 We plan to take the ASA 103 course, and our preferred Captain will be Jason Cox with Myrtle Beach Sailing School. Hey Jason, thanks again! Your professionalism, confidence, and sailing knowledge made for a fantastic learning experience for me. You made ASA 101 a breeze and I can’t wait for my ASA 103 date to finally get here! You make learning fun. Why are your courses more expensive than other schools in your area? 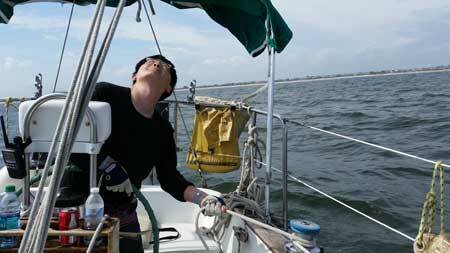 Most sailing schools offer two-certification combo courses in a 4-day format. Why are yours six or seven days? How many students will be on the sailboat? Just give us a call at 843-241-6874 to discuss the course you would like to take and the options available. 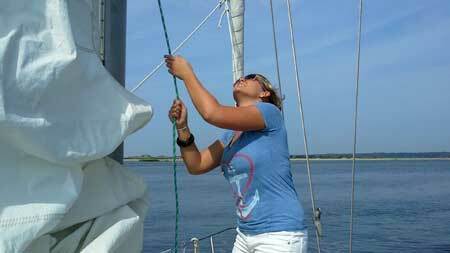 All sailing-based courses are flexible schedule based, therefore, if your requested date(s) is available it is yours. A $150 per student deposit is required to secure your lesson date and instructional materials. 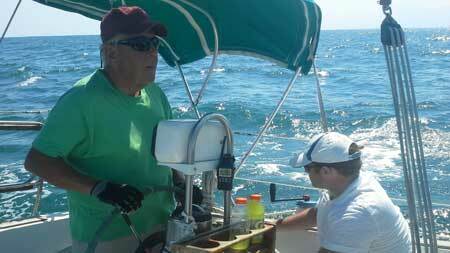 We routinely receive calls and emails regarding sailing instruction for kids. At this time we do not offer learn to sail opportunities for those 14 & under. There are a few options all within a two hours or closer drive. If you would like to learn more please see our Kids Sailing Opportunities page.